CHALLENGEFAMILY and x-bionic® sphere has today announced a new global half distance championship triathlon event for professional and age group triathletes. 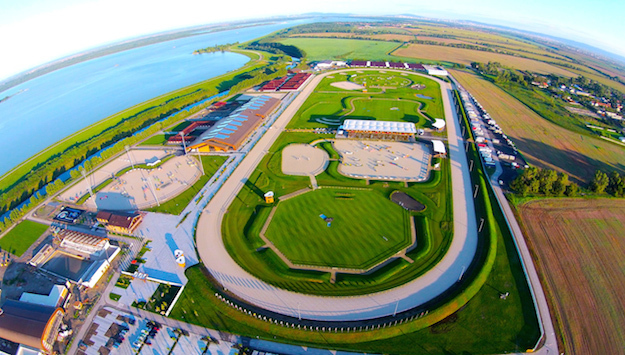 Known as ‘THECHAMPIONSHIP’, the event will take place at the incredible x-bionic® sphere in Samorin, Slovakia on June 3, 2017. Jan Masek, CEO of x-bionic® sphere has promised athletes an unforgettable experience. “x-bionic® sphere may be a young venue, however everyone who has visited has been astonished by its size and remarkable facilities. Covering a total area of 1,000,000 square metres, x-bionic® sphere’s facilities are unparalleled anywhere in the World, catering for professional athletes and teams from twenty-seven Olympic sports disciplines, including triathlon,” said Masek. For professional athletes, THECHAMPIONSHIP 2017 will carry a minimum €150,000 professional prize purse. A unique professional qualifying system will see professional athletes able to qualify for THECHAMPIONSHIP 2017 via CHALLENGEFAMILY events worldwide. Professional athletes who finish in the top five at the Rio 2016 Olympic Games, or a top three finish in the 2016 World Triathlon Series end of season rankings, 2016 ITU Long Distance Championship, 2016 Ironman World Championship or 2016 Ironman 70.3 World Championship will also receive an invite to THECHAMPIONSHIP 2017. 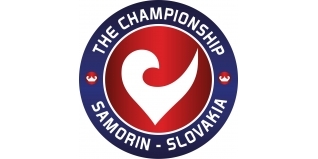 Challenge Samorin 2016 will carry double the qualifying slots for THECHAMPIONSHIP 2017. Professional athlete’s qualifying at non-CHALLENGEFAMILY events will be required to validate at a CHALLENGEFAMILY event within the qualifying period, which commences at CHALLENGEFUERTEVENTURA 2016 and concludes at CHALLENGERIMINI 2017. “At Challenge Family we’re driven by the same thing that drives our athletes: the passion to push limits, to perform at our best and to enjoy what we do in style. The Championship embodies this and it is our goal to set the new standard in triathlon,’ said Zibi Szlufcik, CEO of CHALLENGEFAMILY. Age group athletes will have the opportunity to qualify with a top five age group finish at any CHALLENGEFAMILY event worldwide during the qualification period. Top 3 teams in the male, female and mixed categories in relay events will qualify for THECHAMPIONSHIP at CHALLENGEFAMILY events. To celebrate the elite performance of qualifying athletes but maintain CHALLENGEFAMILY’s commitment to inclusiveness, three hundred loyalty slots are available to any age group athlete who participates in at least four CHALLENGEFAMILY events within the qualification period. Loyalty spots are awarded on a first-come-first-served basis for athletes who meet the minimum participation criteria. Loyalty slots are not dependent on an athlete’s race time or finish position at any of the minimum four CHALLENGEFAMILY events. THECHAMPIONSHIP comprises a 1.9km swim, 90km bike and 21.1km run and is to be an annual CHALLENGEFAMILY event. The 2017 and 2019 editions of THECHAMPIONSHIP will be held at x-bionic® sphere, with the 2018 host city to be announced shortly.